When Manbulloo MD Marie Piccone is asked why out of hundreds of varieties of mangoes available, she chooses to grow Kensington Pride, she simply answers “because they’re the best”. Kensington Pride is the most popular variety of mango grown in Australia. Sometimes referred to as the ‘Bowen mango’ (the region of Queensland in which the variety was popularised), the variety actually originates from India. Kensington Pride mangoes have a uniquely fragrant and sweet flavour with soft, fibreless flesh. They have a yellow skin, often with a pink or red ‘blush’ colour that results from sun exposure. Whilst most consumers still prefer to eat Kensington Pride mangoes freshly sliced, they also make a great addition to smoothies, desserts or even summer salads. she was about to embark on. Telstra Business Women’s Entrepreneur Award in 2015. Manbulloo has expanded in recent years and now owns six farms spanning the Queensland and Northern Territory regions of Northern Australia. Manbulloo also exports a portion of its crop each year to numerous overseas customers through its subsidiary company, Mango Road. 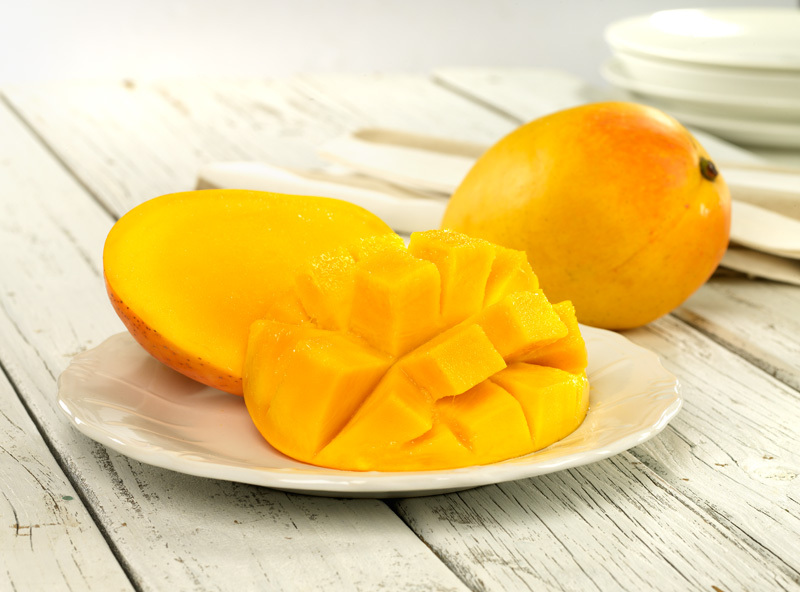 As Australia’s largest growers of Australia’s favourite mango variety – Kensington Pride – Manbulloo feels a great responsibility to deliver the best tasting mangoes to consumers both in Australia and overseas each year.